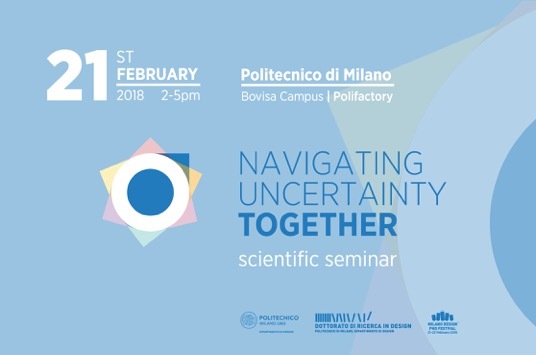 Navigating uncertainty, together is the theme of this year’s scientific seminar, organized by the 2nd-year Ph.D. candidates, during the Milano Design PhD Festival 2018, coordinated by Prof. Luca Guerrini. 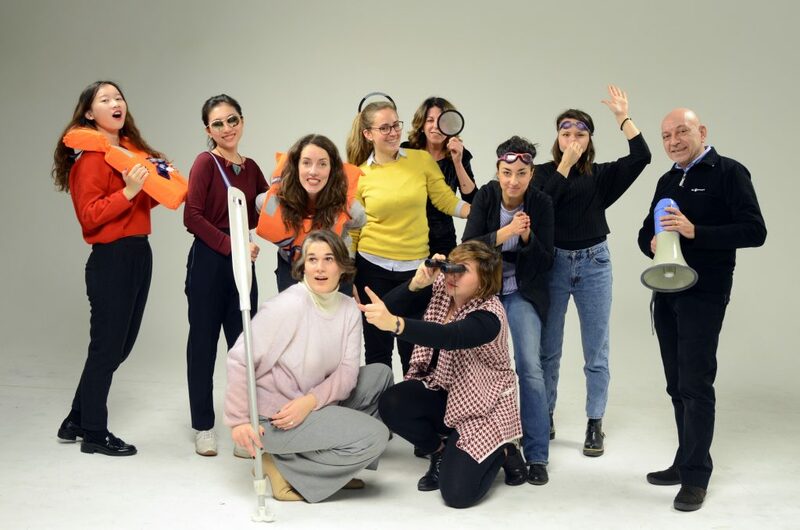 The seminar investigates the new role of design research in an increasingly complex and interconnected world, riddled with societal and environmental challenges which often require collaboration between diverse actors and across a wide range of knowledge, skills and competences. The world today is characterized by accelerated transformations, where the increasing availability of information has blurred analytical, linguistic and cultural references, rendering, in several aspects, our certainties uncertain. Some of the fields affected by these increasing uncertainties, include: technology and digital interactions, public and private services and cultural heritage. 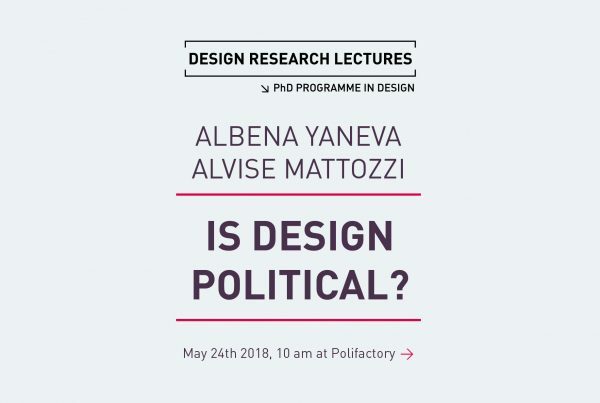 Design researchers can provide an important contribution in this respect, offering a dialogic approach that extends the vision from a single or top-down perspective to multiple perspectives, allowing for shared visions to be created and for a shift in paradigm to occur from a solution-based approach to a participatory one. This is accomplished by identifying points of references, creating tools and building scenarios, among others. The seminar will, in consequence, explore uncertainty through the following tracks: values, skills and outcomes. Each presentation will contribute to an overall discussion to be held with the seminar’s discussants and participants.